In last Sundays’ message on Psalm 95 we meditated on the attitude we should have in worship knowing that we are coming “before his presence” (v. 2). Psalm 95 summons worshippers to bow down before Jehovah and to kneel before him (v. 6). The physical posture of humility reflects an inner, spiritual quality of humility. This psalm teaches us that we are to approach the Lord’s presence with lowliness. 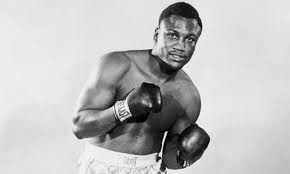 So, what does the sad non-entity say when suddenly in the presence of greatness, of the man who probably had the most lethal left-hook of his generation. The answer? `Yo, Joe, how ya doin'?' ? No. More like `Sir, it's an honour to meet you, sir, Mr Frazier, sir.' Faced with the awesome presence of the former world champ, I responded with stammering, barely coherent awe as I shook his hand and paid internal homage. I recently ran across this interesting textual variation in Luke 23:38. The traditional text includes mention of the tri-lingual inscription over Jesus on the cross (cf. John 19:20); whereas, the modern critical text omits mention of the three languages. NKJV: And an inscription also was written over Him in letters of Greek, Latin, and Hebrew: THIS IS THE KING OF THE JEWS. NIV: There was a written notice above him, which read: THIS IS THE KING OF THE JEWS. The traditional text appears to have strong support among the manuscripts generally held in high regard by modern text critics. These include the original hand of Sinaiticus, A, D, W, Theta. It is also supported by the vast majority of manuscripts in the ecclesiastical tradition. There are some variations in this tradition. For example, codices A and D omit the phrase “over him” (ep auto) and use the verb epigrapho rather than grapho. The modern critical text, on the other hand, is supported by p75, the first corrector of Sinaiticus, Vaticanus, L, 070, and 1241. The decision to omit the phrase in question in the modern text is no doubt driven by the assumption that there was a scribal effort to harmonize Luke 23:38 with John 19:20, the only other verse in the canonical Gospels to include mention of the tri-lingual inscription. How might one respond to these three challenges? (1) The traditional text has especially strong external attestation. It is even the reading of codex Sinaiticus. (2) The differences in the texts that include the tradition might be exaggerated. Would we not expect some variation given apparent conflict in the early scribal tradition over the precise reading? (3) If it might be assumed that the traditional text represents a “gloss” to harmonize with John 19:20, might we not also reasonably theorize that the removal of the disputed phrase could possibly be an effort to harmonize with the accounts of Matthew 27:37 and Mark 15:26, which omit reference to the tri-lingual inscription? Do all efforts to harmonize necessarily include expansion or might they also include abbreviation? In addition, we might note the fact that of all the Synoptic Gospels, Luke appears to have the strongest literary connections with John. Just one example of this would be the appearance of Mary and Martha in Luke 10:38-42 and their prominence in John 11 (cf. also Jesus’ account of the Rich Man and Lazarus in Luke 16:19-31 and the role of the disciple Lazarus in John). Would it not make sense for Luke and John to share in this colorful detail regarding the tri-lingual inscription? The traditional text of Luke 23:28 has strong manuscript support, buttressed by reasonable internal evidence to validate its continued acceptance as the standard text of Scripture. 1. It is the duty of parents to delight in their children and to see them as a blessing. It flows from this principle that the parents will lovingly nurture and care for children. We carefully protect and nurture that which we value and in which we delight. It would be sad to see a man who cared more for his car or his house or some other possession than he does for his children. 2. It is the duty of parents to discipline their children. There are few things that the Bible detests more than an incorrigible child. The parents are there to provide the structure and the boundaries that will make the child a responsible adult. We see this duty persistently addressed in the Proverbs (compare: 3:11; 13:24; 22:6, 15; 23:13; 29:15). This obligation goes beyond physical discipline. The most effective “rod” we have is the rod of the tongue wherewith we can give gentle but firm admonishment. Parents are to be wise guides and trusted counselors for their children. This “discipline” also extends beyond the childhood years as the parents offer guidance to their children in life decisions, careers, marriage, practical home-making, and productive living. 3. It is the duty of parents to evangelize and to disciple their children. The disposition of a Christian to an unbeliever is one of evangelism and toward believers is one of discipleship. This applies just as well to the home. There were apparently Christian children whom are addressed by Paul in the household codes (Eph 6; Col 3). Consider Timothy who was both evangelized and disciple by his godly grandmother and mother (see 2 Timothy 1:5; 3:14). The Christian method of “indoctrinating” children is drawn from the Old Testament pattern (see especially Deuteronomy 6:3-9). 4. It is the duty of parents to provide materially for their children. I would draw attention to the fact that parents are not only to provide for the material needs of the children (food, clothing, shelter, education, etc) when they are young and in the home, but I also think the Bible implies that it would be a blessing for parents to provide a material legacy for their children if the providential circumstances allow (see Paul’s incidental mention of this principle in 2 Corinthians 12:14). The bumper sticker that reads, “I’m spending my children’s inheritance” is thus unbiblical. Of course, this is to be guided by prudential wisdom and other Biblical principles. Adult children are not to be made dependent upon parents. When they marry they are to establish their own households (Gen 2:24). 5. It is the duty of parents not to provoke their children to wrath (or, as one modern translation phrases it, to “exasperate” their children). How can a father (parent) provoke his child to wrath? By not understanding the natural development and needs of his child. A five year old should not be expected to act like an 18 year old and vice versa. This includes holding unrealistic expectations and standards for a child. By selfishly expecting that the family should center around the father’s (parent’s) needs rather than self-sacrificially putting the needs of others before his own and the demands of Christ above all. By persistent and unkind teasing. By neglecting the material and emotional needs of his child. By neglecting the spiritual needs of his child. By showing favoritism among children. By spiritual hypocrisy. Children are “truth detectors.” They can sniff out inconsistency pretty quickly. We provoke our children to wrath when we do not live consistently. If we criticize others for lack of piety in some area but then live inconsistently in that same area or others, we are being hypocritical. Parents, what an incredible privilege and duty we have been given. We stand in the place of God himself in our families. Let us fulfill our sacred duties to our children and thereby obey our Lord. In preparing to preach last Sunday on Psalm 23 I also found helpful listening to this reading of Thomas Watson's sermon, The Comforting Rod, a meditation on Psalm 23:4: "thy rod and thy staff they comfort me." Full of typical Watson nuggests like: "The eye that sin closes, affliction opens." I shall not want, to wit, any thing which is really necessary for me, either for this life or for the next. But foolish man may think many things to be necessary for him, which the all-wise God knoweth to be not only unnecessary, but hurtful, and therefore mercifully denies what men ignorantly desire to their hurt. Eighth Doubt: The struggles I have are strange or unusual. I doubt that a child of God has ever faced the kind of providential trials I am facing. Answer: Much of what was previously said (see Doubt Seven) applies here also. Holy Job was assaulted with this temptation (see Job 5:1), but he rejected it and held fast. The apostle Peter says that Christians may be tempted “to think it strange concerning the fiery trial” (1 Peter 4:12). Sometimes we travel on paths where we can see the footprints of neither man nor beast. We cannot conclude from this, however, that no one has ever gone this way before us. Though you cannot see the footsteps of the flock in the way of your affliction, you must not conclude that you are the first to ever walk that road. But what if you were the first to walk that way? Some saint or other must be first in drinking from each bitter cup. Who are we to question the providential circumstances God has given us? “Thy way is in the sea, and thy paths in great waters; and thy footsteps are not known” (Psalm 77:19). If the Lord should carry you to heaven by some remote road, so to speak, you would have no reason to complain. We must learn to allow proper latitude for God’s sovereignty. Do your duty. Do not let any difficulty you face hide from you the fact that you are in a state of grace. As Solomon said, “no man knoweth either love or hatred by all that is before them” (Ecclesiastes 9:1). Book Review: Michael Horton's "The Christian Faith"
Note: Here's the book review of Horton's CF from the last issue of the RBT. Michael Horton, The Christian Faith: A Systematic Theology for Pilgrims On the Way (Zondervan, 2011): 1052 pp..
What is the best contemporary systematic theology from a Reformed and evangelical perspective on the market today? In recent years Wayne Grudem’s Systematic Theology, Zondervan 1994) has risen in popularity, particularly among the YRR crowd (Young, Restless, Reformed) and especially for its highly readable and devotional style. There are significant problems with Grudem, however, not the least of which is his advocacy for non-cessationism. Many still stand by proven (relatively) “contemporary” works like that of Berkhof. Into the mix of systematic theologies now comes The Christian Faith by Michael Horton. Michael Horton is a Reformed minister, scholar, intellectual, and prolific author who is professor of systematic theology and apologetics at Westminster Seminary California. He also serves as editor or Modern Reformation magazine and as a co-host of the influential The White Horse Inn broadcast. He has been a persistent critic of broad evangelicalism in books like Christless Christianity: The Alternative Gospel of the American Church (Baker, 2008). Recently, however, Horton has himself come under scrutiny by some in Reformed circles. Lane Tipton of Westminster Seminary of Philadelphia, for example, has labeled Horton’s emphasis on the doctrine of Justification, to what he sees as the neglect of the doctrine of Union with Christ, as more “Lutheran” than Reformed. Even more pointedly, theologian John Frame has offered outspoken criticism of Horton and others (like R. Scott Brown and D. J. Hart), especially for their advocacy of “two kingdom theology,” faulting their distinction between the role of the church and state in civil government and society. Frame has labeled the views of Horton and others as the “The Escondido Theology” (see his book, The Escondido Theology: A Reformed Response to Two Kingdom Theology, Whitefield Media, 2011). Those who read Horton’s work will be particularly keen to notice these areas of controversy. It is also a much more “catholic” work than a purely evangelical one. One might even say that Horton appears more keenly interested in interaction with Roman Catholic, Eastern Orthodox, liberal Protestant, and Neo-orthodox theologies and theologians than he is with conservative evangelicals. The more ecumenical nature and goal of Horton’s work might be indicated by the fact that he introduces the work with The Nicene Creed (p. 11). In the introduction, Horton notes that “the goal of theology is to humble us before the triune God of majesty and grace” (p. 13). He adds that to believe in the God of Scripture requires “an act of apostasy from the assumed creed of our age” (p. 15). A systematic understanding of the faith is essential for all believers. It is “like the box top of a jigsaw puzzle, and every believer is a theologian in the sense of putting all the pieces together” (p. 27). Horton makes clear that this book is not an exercise in “dogmatics,” which provides “a deeper analysis of Christian doctrines” but “a systematic summary” (p. 29). Finally, he notes that he is writing “from the perspective of a Reformed Christian living in North America” (p. 30). Part 1 is “Knowing God: The Presuppositions of Theology” (pp. 35-222). This opening is dedicated to epistemology, the doctrine of revelation, and Scripture. Part 2 is “God Who Lives” (pp. 223-308). The emphasis here is on the attributes of God and the Trinity. Part 3 is “God Who Creates” (pp. 309-445). In this part the subjects are the decrees of God, creation, providence, anthropology, and the fall. Part 4 is “God Who Rescues” (pp. 446-550). This section is devoted to Christology. Part 5 is “God Who Reigns in Grace” (pp. 551-905). This part focuses on the ordo salutis and ecclesiology. And Part 6 is “God Who Reigns in Glory” (pp. 906-990). This final part, appropriately enough, deals with the doctrine of last things. The Christian Faith also includes a number of helpful resources and appendices, including a “Glossary” of theological terms (pp. 991-1003), a “Confession Index” (pp. 1047-1048), and a brief “Annotated Bibliography” on various resources, labeling them by levels as “Beginner, Intermediate, and Advanced” (pp. 1049-1052). In this sense, fundamentalism shares with liberalism a univocal view of divine and human agency, leading the former to undervalue the Bible’s humanity, while the latter interprets the obvious signs of the Bible’s humanity as evidence of its merely natural process (p. 163). He is particularly hostile to the view of “mechanical inspiration” as opposed to “organic inspiration” (p. 63), though he does acknowledge that even the Reformers used “the unfortunate language of dictation” (p. 174). Horton affirms the Hodge/Warfield/Princeton view of inspiration as “the best formulation of inerrancy and challenges caricatures” (p. 176). He notes that this view of inerrancy is not “attributed to copies” but to “the original autographic text” (p. 177). He also follows the typical evangelical line by noting that though textual discrepancies remain “they do not affect any point of the church’s faith and practice” (p. 180). In fact, Horton expresses bold confidence in modern text criticism as “an ongoing enterprise yielding ongoing results” demonstrating that “reconstructing or approximating the content of the original autographs is a viable goal and that, for the most part, it has already achieved this goal” (p. 180). Horton is particularly keen to defend this inerrancy view against Barthianism (see pp. 181-185), noting that “the inerrancy debate” is “largely a conversation between Old Princeton and Karl Barth (p. 181), while acknowledging that “both positions are quite different from Protestant orthodoxy” (p. 181). Though admitting that the Hodge/Warfield/Chicago Statement on Biblical Inerrancy “invites legitimate questions and critiques,” Horton finds its alternatives “less satisfying” (p. 184). One wishes that Horton might have spent less time analyzing, comparing, and contrasting the contemporary view of inerrancy with Barth and more with Protestant orthodoxy which affirmed the providential preservation of God’s Word in the copies (as in the Puritans, the Westminster Confession, John Owen, etc.). As noted above, Horton’s work generally aims at a “catholic” appeal to the broad Christian tradition. For example, he can approvingly cite and interact with the work of Roman Catholics like A. Dulles on revelation (see pp. 113 ff. ) or J. Ratzinger (i.e., Pope Benedict) on ecclesiology (pp. 720, 736; though note also his critique on pp. 830 ff. ), of Anglicans like C. S. Lewis (e.g., p. 18), Lutherans like D. Bonhoeffer (see pp. 756 ff. ), and of the neo-orthodox Reformed lion Karl Barth (cited throughout; according the “Name Index” Barth is second only to John Calvin in the number of references). There is one segment of the Christian tradition, however to which Horton shows little acceptance and that is to Protestant “fundamentalism.” In his discussion of the perspicuity of Scripture, for example, Horton observes, “There is a fundamentalist version of Scripture’s perspicuity or clarity that undervalues its humanity, plurality, and richness, treating the Bible as a collection of obvious propositions that require no interpretation. However, this is not the classic Protestant understanding of Scripture” (pp. 196-197). He then proceeds to apply this thought to the fundamentalist view of creation: “For instance, if we seek from Scripture infallible information concerning the age of the earth, we will miss the point of the passages we are citing” (p. 197). Indeed, in his later treatment of the doctrine of creation, Horton explicitly rejects a “fundamentalist” literal, six day view of creation. It will not surprise those who have read thus far that I take the days of creation to be analogical. That is, they are not literal, twenty-four hour periods, but God’s accommodation to the ordinary pattern of six days of labor and a seventh day of rest, which he created for mankind (p. 381). The Biblical creation account is neither “a science report” nor “mythological” but “part of a polemic of ‘Yahweh’ versus the idols” (p. 382). Horton acknowledge his dependence on Meredith Kline and his “framework hypothesis” for his interpretation of the creation narrative (pp. 382 ff.). Oddly enough, however, when he later discusses the doctrine of the fall, Horton insists on the historicity of Adam: “Whatever one’s conclusions concerning the process of human origins, Christian theology stands or falls with a historical Adam and a historical fall” (p. 424). Horton fails to address the contradiction between his rejection of the historicity of the creation narrative and his affirmation of the historicity of Adam. This is a glaring problem not only with his doctrine of creation but also with his doctrine of sin and the fall. As noted above, Horton has come under fire from some corners for his “Lutheran” view of justification. Horton clearly gives great and appropriate emphasis to the doctrine of justification, calling it “the chief insight of the Reformation” (p. 622) and “the engine that pulls adoption, new birth, sanctification, and glorification in tow” (p. 708). In his extended discussion of the ordo salutis, however, Horton also clearly emphasizes the doctrine of union with Christ, disputing a trend in Reformation Pauline scholarship to presuppose “that mystical participation in Christ stands over against a forensic emphasis on Christ’s alien righteousness imputed to believers” (p. 588). In his discussion of the doctrine of the church, Horton places what has become typical emphasis in his thought on the Word and Sacrament (i.e., preaching and the ordinances) as the primary focus of the church’s ministry. What some might find noteworthy in the discussion here is the fact that thought Horton makes clear his preference for the Presbyterian model of church polity, he does not believe that Scripture clearly reveals a particular normative form of church government. Thus polity is a secondary matter for Horton, as evidenced by this approving reference to L. Newbigin: “Although a valid ministry of Word and sacrament is essential, Newbigin rightly argues that this does not entail a particular form of church government as essential to the very being of the church” (p. 875). One wonders, however, if such matters are so murky in Scripture, and if they stand a lower level of importance in defining a true church. Horton does indeed advance the “two kingdom” view of the church in the present age: “Christ is already a king with his kingdom, but for now this realm is visible chiefly in the public ministry of Word, sacrament, and discipline, and also in the fellowship of the saints as they share their spiritual and material gifts in the body of Christ” (p. 525). He later adds that the Reformers insisted that “believers must live as citizens of two kingdoms, each with its own distinct sources, ends, and means” (p. 926). This kind of perspective will not please some in Reformed circles, particularly those with theonomistic leanings. Baptists, however, who have rarely, if ever, known the experiences of holding sway in the civil and cultural arena may wonder why the fuss. With regard to baptism, Horton predictably affirms infant baptism. On the subject of baptismal mode, though conceding that “immersion does seem more suggestive of begin buried and raised with Christ and of being drawn out of God’s waters of judgment alive,” Horton eventually concludes that immersion, sprinkling, and pouring are all “valid modes” (pp. 792-793). 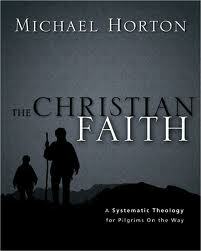 Michael Horton’s The Christian Faith is a massive and sweeping survey of Christian doctrine. It is not merely a systematic theology but also a historical and philosophical theology. The prose is literary and engaging, but the density of the material will likely not make it a “popular” work, like Grudem’s. Many conservative, Reformed readers will take exception to various positions adopted by Horton (e.g., his rejection of a literal six day account of creation, his conviction that Scripture does not clearly teach a definitive church polity, his “two-kingdom” theology, etc.). For them, it is not likely to replace Berkhof as a suitable “contemporary” systematic. Some might wonder at Horton’s persistent efforts to engage with liberal scholarship and non-evangelical and non-Reformed theologies and theologians. Perhaps the biggest question, then, may be that of audience. Some will find it too conservative and traditional, while others will find it too liberal and innovative. The pastor-theologian, however, will, at the least, be stimulated by Horton’s labors, even if he does not always find himself in agreement with his method or conclusions. We took this photo of the Christ Reformed Baptist Church family on the steps of the Covenant Lower School following our Lord's Day morning worship yesterday (May 13, 2012). We are thankful to the Lord for raising up of this little flock over the last two years. Note: In last Sunday afternoon's message, I made reference to Faith Cook's Troubled Journey. Here's the review of the book I wrote a few years ago. 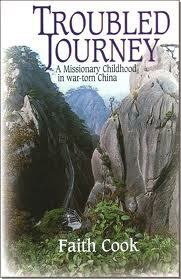 Faith Cook, Troubled Journey: A Missionary Childhood in War-Torn China (Banner of Truth, 2004): 118 pp.. Faith Cook is a pastor’s wife in England and a gifted author who has produced several useful Christian biographies. In this brief work, she traces her own memories of growing up as a child of missionary parents to China during the Second World War. In so doing, Cook writes appreciatively and respectfully about the sacrifices of her parents and other missionaries for the cause of Christ, but she also offers an honest critique of some of the negative consequences this meant for her family and others. Cook makes this plain from the outset noting in the Preface that “sometimes their zeal was misguided” (p. ix). Cook’s parents, Stanley and Norah Rowe, served with the China Inland Mission, founded by Hudson Taylor. She explains that it was Taylor who “had established the regulation that the wives of missionaries should also be missionaries in their own right” (p. 19). This policy meant “that the married women were expected to give their time principally to their missionary endeavor, and therefore would find little or no opportunity to provide for the educational needs of their children” (pp. 19-20). Based on a widely held application of Matthew 10:37 which states that disciples are not to place love of family members above loyalty to Christ, many missionaries sacrificed family life for their missionary service. Cook explains, “Taken in isolation from other Biblical teaching on the responsibilities of family life, these words were used as a rationale for the long separations between children and parents, not only on mission fields, but also in Christian work in the home countries” (p. 20). As her family served in remote corners of China, Cook explains how they faced various serious illnesses and deprivations, how her infant brother died with dysentery and her mother suffered afterwards with depression, and how her parents’ devotion to ministry often meant that she was left unsupervised and neglected. She notes, “Many were the ugly sights and sounds that I inadvertently witnessed and heard” as she wandered idle about the village where they lived (p. 28). Cook also describes the experience of being sent to boarding schools where the treatment of children was not always sensitive and caring. She sometimes went for years without seeing her siblings and parents. She also describes the traumatic emergency evacuation of her school from China to India on Christmas Day 1944 on an American DC-3. She then relates how her family was forced to leave China under communist pressure in the post-war years. Upon their return to England, the family suffered the tragic loss of another of Cook’s younger brothers in a road accident. Though she expresses respect for her parent’s faith and courage in the loss of their son, she also notes, “In later years, however, I came to see that such fortitude, though admirable, could also act as a cloak for their sorrows and delay that inner healing through faith so needful to them” (p. 95). She shares a letter that Dr. Martin Lloyd-Jones, their pastor, sent her parents at that time: “As we would expect from you, your letter is full of triumphant faith. But we are not meant to be unnatural, and you are bound to feel the loss and the absence of such a bright spirit very keenly” (p. 95). Not long, in fact, after this great loss, her parents decided to leave Cook and her older brother in boarding schools in England and return to mission service in Malaysia. She notes that her father’s commitment to mission work “was all consuming: at times almost obsessive in character” (p. 97). She adds that to understand her parent’s decision one must realize “the ethos in which it was made. An immense value was placed on this sort of sacrifice by the Christian community in general and it was viewed as honourable and highly commendable” (p. 97). She reflects: “These men and women felt they were offering up to their God their ‘Isaacs’—their most valued possession—as indeed they were; but sadly, the question they did not address was whether God required such sacrifices” (pp. 97-98). As Cook completes the story of her childhood, she relates the long distance letter writing relationship and infrequent contact she had with her parents throughout her teenage and college years. She notes that her “unsettled childhood, sheltered school environment, and now the loss of any stable home base” left her “ill-prepared for the cold realities of the adult world” (p. 112). Despite the hardships, however, Cook also points to the Lord’s gracious provision throughout the experience. She went on to marry, to become a pastor’s wife, and to raise her own family. In the conclusion, Cook reflects: “It had indeed been a troubled journey for both my brother and me, but as I look back over the path I have traveled, I can see now see that despite the undoubted sufferings through which we had both passed—unnecessary sufferings in many respects— God has supported, protected, and added unexpected provisions for our needs along the way. Even the sufferings themselves have proved to be part of God’s design for my life” (p. 116). This book would be an excellent gift for the children of missionaries and pastors who might have misgivings about the circumstances of their upbringing. In fact, it would likely be helpful for anyone who has painful childhood memories. It would also be an excellent read for those parents now serving in ministry, as they consider the impact their decisions will have upon their families. Cook’s tone is both respectful and honest. She rightly challenges the Hudson Taylor inspired view of family sacrifice on the mission field. There is no reason to believe that the Lord brings the call to mission service and the call to family discipleship into conflict where one must be sacrificed for the other. Cook also reveals that the real key to resolution of hurtful things from the past is a firm belief in the providential sovereignty and goodness of God. Seventh Doubt: I have never read in the Bible or known about a true child of God who was as tempted or as without God as I am. Since I do not know of any Christian who has ever been in my condition, I can only conclude that I must not be a believer. Answer: This doubt comes from ignorance both of the Bible and of the actual experience of Christians. Those who have this doubt should try speaking with a mature Christian friend or a godly minister. Doing this has brought peace to some when they realize that their case is not exceptional and that many Christians have had the same struggle. The Bible provides many examples of Christians suffering with horrible temptations. The devil tempted Job to blaspheme (Job 1:11; 2:9). Asaph was tempted to think religion was vain and to throw it off (Psalm 73:13). Christ himself was tempted to “cast himself down from a pinnacle of the temple” and “to worship the devil” (Matt 4:6-9). Many Christians have not only been attacked with temptations, but they have even been overcome by them and fallen into gross sin for a time. Peter denied Christ, and cursed and swore that he did not know him (Mark 14:71). Some Christians were compelled to blaspheme under persecution by Paul, before he was converted (Acts 26:10-11). Many Christians can bear witness to their own sad personal experiences in this area. They have suffered very great temptations which have astonished their spirits, made their bodies tremble, and made them sick to their stomachs. Satan’s fiery darts can cause great damage. It takes great diligence to extinguish them or to block them with the shield of faith (Eph 6:16). Sometimes Satan throws so many fire-balls at our house that all we can do is constantly run back and forth to extinguish them. We must remember, however, that it is not a sin merely to be tempted. It is sin only when we consent to the temptation. If one is tempted to sin but does not consent to the temptation, he can no more be accused of that sin than a chaste man can be charged with fathering a child out of wedlock. Suppose you go to a mature Christian friend or minister and share your problem, but they say they have never known anyone exactly in your condition. You still should not think that your case is exceptional. You certainly should not give up hope! Even a mature Christian or godly minister cannot know every difficulty a child of God might face. Some have had struggles known only to God and their own consciences. Though Scripture provides directions for every condition a believer might be in, it does not exhaustively list every struggle a Christian might face. Though you cannot find your specific case in the Bible, bring your case to the Bible, and you will find a remedy. Do not worry with trying to find out if anyone has ever been in your condition. Strive instead to apply Christ to your condition. Christ has a remedy for all diseases. Even if you found a true Christian who was tempted in the same way you are what would that prove? Your situations would not be exactly the same in every way. Consider the human face. In some ways, every human face is the same. Each has the same features. At the same time, every face is also different and can be distinguished from all others. Conclusion: If you see the marks of Biblical regeneration in your life, you should conclude that you are in the state of grace. This is true even if you are struggling with temptations that are unique to you (which is not very likely). What are the Biblical duties and obligations of children to parents? Though there are universal elements in these duties, we are speaking in particular of the duties of those who are Christians toward their parents. 1. Children have the duty of honoring and respecting father and mother. This is, of course, the essence of the fifth commandment, which has first place in the second table of the law, governing man’s duty to his fellow man. The principle embedded in this commandment goes beyond familial duties. As the catechism points out, it “requires the preserving the honour, and performing the duties belonging to every one in their several places and relations, as superiors, inferiors, or equals.” It thus calls not only on the disposition of children toward parents, but also employees toward their supervisors, church members to their officers, and citizens to their magistrates. Children are to show this honor in a respectful attitude toward their parents. They are to speak respectfully to their parents. One way this is evidences is by using “sir” and “m’am” when addressing parents and other elders. They are to listen to their parents when they are spoken to by turning in the direction of their parents with an open and receptive posture. They are not to speak ill publically of their parents or to publically disagree with their parents, though they might certainly seek private entreaty in cases where there might have been injustice or disagreement or need for further understanding. KJV 2 Samuel 18:32 And the king said unto Cushi, Is the young man Absalom safe? And Cushi answered, The enemies of my lord the king, and all that rise against thee to do thee hurt, be as that young man is. 33 And the king was much moved, and went up to the chamber over the gate, and wept: and as he went, thus he said, O my son Absalom, my son, my son Absalom! would God I had died for thee, O Absalom, my son, my son! A child can bring a parent great joy or he can break a parent’s heart. 2. Children have the duty of obeying father and mother. Note, however, that in Ephesians 6:1 Paul says that this obedience is to be “in the Lord.” Just as a wife is not called to submit to a husband in unlawful and ungodly actions, so a child is not bound to obey parents in such actions. Years ago when I worked at a summer boys’ camp, we had a child who through tears told us that his father would ask him to get on his bike and ride to a place to get drugs for him. He was asking if he had to obey his father in this. We told him, No, and we told our camp director of this who shared it with the church leaders who had brought this boy to the camp. Perhaps the most vivid Scriptural picture of a child’s lawful unconditional obedience to a parent is in Genesis 22 when Isaac obeys the command of his father Abraham and is bound to the altar ready to be sacrificed, anticipating the obedience of Christ to the will of his Father on the cross. 3. Children have the duty of listening to the counsel of father and mother. It has often been said that one’s parents get wiser and wiser the older you get. A wise child will realize that he has much to learn from the counsel of his parents. This is the setting for the entire book of Proverbs which begins, “My son, hear the instructions of thy father, and forsake not the law of thy mother” (1:8). A wise child will seek the counsel of his parents in his education, vocational calling finances, marriage prospects, etc. Of course, when he marries a son leaves the household of his mother and father and establishes his own household, seeking the counsel of his wife, even over that of his parents. Still, even after marriage he can see his parents as valuable resources. Certainly, in the best circumstances, the parents are to be a spiritual resource and example to children. 4. Children have the duty of caring for father and mother in their old age. The Bible was, of course, written before the days of the social safety net. The burden of care for aging parents from a Biblical perspective is not the duty of the state but of the children. We are to do this to the degree that providential circumstances will allow. KJV 1 Timothy 5:3 Honour widows that are widows indeed. 4 But if any widow have children or nephews, let them learn first to shew piety at home, and to requite their parents: for that is good and acceptable before God. KJV 1 Timothy 5:8 But if any provide not for his own, and specially for those of his own house, he hath denied the faith, and is worse than an infidel. When you become a parent you realize how much your parents did for you. In the natural process of time, the tables begin to turn and you may be given opportunity to serve them even as they served you. 5. Where there have been failure and breaches, children have the duty of understanding and forgiving father and mother. Part of personal emotional and spiritual maturity is coming to the realization that your parents were not perfect and perhaps did not do all perfectly in your upbringing and yet extending to them forgiveness and grace. This is certainly not to whitewash the experience of those who went through real abuse. Sometimes full reconciliation cannot ever be achieved. KJV 1 Peter 4:8 And above all things have fervent charity among yourselves: for charity shall cover the multitude of sins. One of the best examples I have seen of this is in the book Troubled Journey by Faith Cook. In the book Cook writes about her life as a missionary child in war-torn China, including many of the hardships the family endured as her parents pursued their service along the line of Hudson Taylor’s philosophy that the needs of family had to be sacrificed on the altar of missionary service. Shortly after the death of one of her brothers, Cook was left in a boarding school while her parents returned to China. She notes that her father’s commitment to mission work “was all consuming: at times almost obsessive in character” (p. 97). She adds that to understand her parent’s decision one must realize “the ethos in which it was made. An immense value was placed on this sort of sacrifice by the Christian community in general and it was viewed as honourable and highly commendable” (p. 97). She reflects: “These men and women felt they were offering up to their God their ‘Isaacs’—their most valued possession—as indeed they were; but sadly, the question they did not address was whether God required such sacrifices” (pp. 97-98). I think Cooke models here the Biblical attitude of a child to parent. Not whitewashing or excusing all, but honoring.